Shannon and her team were an integral part of our whole-house remodel. We began our remodeling process before moving back to Santa Barbara from the Bay Area. We had done several remodels prior to this and used a designer only for minimal input at the end of the project. But for this - "our forever house" - the thought of designing it from 300+ miles away seemed daunting. We were not far into the project before we could tell we had made the right decision to work with Shannon. She listened to what we wanted and came up with a unifying design for the whole house. Our house was a 1970s Spanish Mediterranean style with many "original" details. We needed to reimagine the floor plan and update the interior to a more classic Santa Barbara Mediterranean style. Shannon's organization, planning and execution made this whole house remodel run smoothly. Both the architect and contractors appreciated the level of detail she provided in her plans and schedules. She made sure we made design and decorating decisions promptly so when it came time for construction and installation, there was not much we still needed to discuss. There were little, if any, moments of panic during the construction (at least from a design prospective!). She made the last few weeks of construction enjoyable for us as we saw our house come together. From picking the finishes, the lighting, the tile and drapes, Shannon worked within our budget so we could splurge on some items here and there. Shannon’s talents and many contributions to the direction and aesthetic we had broadly imagined but would have struggled to piece together decision by decision resulted in a house we absolutely love! We couldn’t be happier with the result and highly recommend Shannon and her team to anyone considering a remodel. The first time I saw Shannon Scott’s brochure, I fell in love with nearly everything she has done. She was the person I was looking for to help me design the interior furnishings of the Golden Inn & Village. I have never worked with anyone as professional as Shannon except for the late Steve Chase. Shannon was always on time; delivery dates were also on time as were invoices! It was a pleasure to work with, and I am still working with, her as we begin to design the interior of our final building on the Golden Inn & Village Affordable Housing campus. This final building will more or less be a continuum of care for those seniors and veterans who have Dementia, Alzheimer’s and need light Assisted Living services. Her taste in color and design has been impeccable. She has a great personality, fun to work with and never gets overwhelmed should something go awry. "We can fix that!" she says. "Don’t worry!" Or better yet, she makes sure nothing does go awry. She’s meticulous about where electrical outlets go and perhaps most important if you’re on a budget, as we have been, since we are a non-profit foundation, she’ll go that extra mile to find us furniture and decorations that meet our financial needs. What more can we say as this year we won two Awards for Excellence in both Project and Affordable design by the National Organization NAHRO. Shannon Scott and her team are exactly what you’d hope for from an interior designer. I was able to work with Shannon Scott Design on a 33 unit mixed use project, and was consistently impressed with the quality and thoroughness of their work. First and foremost, Shannon is an excellent designer and was able to develop multiple design schemes to wow our client. Also, as the architect managing the construction process, I was grateful for her detail oriented nature and clarity when communicating the hundreds of particulars needed to make a successful interiors project. I look forward to working with her more in the future. Shannon Scott Design is an exceptional design firm! Shannon and her team helped us realize our vision for a new construction project - an entire building! - starting literally from the ground up. By making sure all the small decisions made sense, were well-thought out, followed our aesthetic ideal, and stayed within our budget, we were able to create something truly special, achieving every design goal we set at the onset of the project. She consulted us on everything from building materials to hardscape to architectural features to furniture. Her guidance, suggestions, organization, and willingness to work with us in a way that best suited our needs made the process easy, fun, and truly enjoyable. Shannon Scott Design was integral in making our project a huge success! I had the pleasure of working with Shannon and her team on a 10 acre property with a home and large guest house that we renovated in Santa Ynez, CA. Working with Shannon was everything, and much more, than I had hoped for! Shannon immediately shared the vision I had for the project. She was extremely professional, collaborative and wonderfully creative. Our project became the home we had been dreaming of for so long! Shannon made the whole experience rewarding, exciting, artistic and FUN!!!! Jones & Jones Planning & Architecture has enjoyed working with Shannon Scott Design on several projects over the past ten years, collaborating on luxury hotels, wineries, and high-end residential projects. We have been very impressed with her team's efficiency and expertise. Shannon and her team have been highly professional and responsive to client requests, with personal attention to every detail. We are happy to recommend Shannon! It was a pleasure and a relief to have Shannon on our planning team. We had no idea how much of a contribution and support she would end up providing to us, from our very first meeting to well after the move into our new home. Shannon really listened to us in every regard, from the maze of abstractions and dreams we brought to the table, all the way to the very concrete decisions of values, preference, and budget. If she saw a need to shape our ideas, she came to us with no criticism or previous agenda, but instead with information, illustrations, samples, hand sketches, and her many years of experience to see us through and have confidence in our choices. Shannon has an excellent grasp of how to connect with both the architectural team and the builders, verbally and technologically. With her knowledge of computer skills used in both their fields (and her own), she was totally on board with their plans and an immense value in keeping us all on our agreed-upon building and finish schedules. In addition, she was easy to reach, excellent at follow-up to our questions and concerns, and at getting back to us with solutions. Shannon is a goldmine with respect to any referrals we needed, whether it was for stone, flooring, paint, hardware and fixtures, lighting, plumbing, furniture, craftsmen, artists, upholsterers, framers, art placement…whatever was required at the time. And she pulled all these resources all together so harmoniously! There is no question we should have had Shannon on board much earlier in the sequence of building the team. Her contributions to the project started immediately upon her joining us, far back in the architectural planning, and were of immense value to us at every stage thereof and in the building process as well. We are so grateful to her, not only for her sense of aesthetics, but for her excellent management skills. One of the reasons we are most happy with Shannon’s role, is that she prevented so many mistakes and costly re-do’s! She planned ahead. She worked with us through traffic patterns, furniture placement, kitchen storage and cabinetry, closet lay-out, all on paper ahead of time … and ahead of the expenditure curve, saving us time, money, and possible aggravation in the lengthy and complex process of completing our home. The Shannon Scott Design team helped make our vision come to life at our family's ranch style vacation home in Santa Ynez. Shannon took our "international rustic" dream and guided us with the planning, designing, purchasing, and installation of the project. Her team is full of talented listeners who carefully consider what is best for the client. I think the true testament of a good designer comes during the "stuck" phase - when you just don't know what to do in "that one corner." Shannon provided us with many different options until we finally had that "AHA!" moment and found the perfect design/furniture piece/accessory. It was a pleasure working with Shannon and her team...we are already getting started on another project together! Whether you are starting from scratch or need help making your vision a reality, you'll be glad to have the guidance and expertise of Shannon Scott Design. I enlisted Shannon’s help to re-decorate a number of temporary recovery rooms in Casa Dorinda’s Skilled Nursing Facility. My direction to Shannon was to make the rooms elegant while still keeping them functional. She did her research and came back with durable yet beautiful fabrics and furnishings. She successfully finished the project on time and within budget. The final results are exquisite and residents who have used these spaces are universally complimentary of the look and feel. I am so pleased with the results that I plan to continue my relationship with Shannon for future projects. 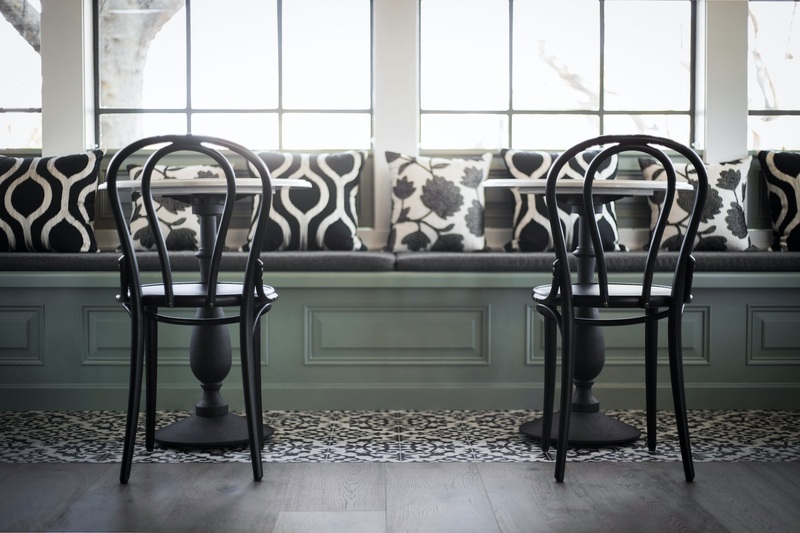 Having leased an 80 plus year old house in Los Olivos to relocate our Tasting Room, we were confronted by small rooms and the need to create an interior which would be inviting to our wine clients and tasters, while offering our sales team an efficient work environment. Shannon Scott had come to my attention as the designer of several attractive and successful tasting rooms in the area, and I arranged to meet with her at the site. She immediately saw the potential, and agreed to join our team. In addition, being an organic wine grower, I was thrilled by her devotion to "green" design and construction. Shannon and her staff were a joy to work with, and the contractor to whom she referred us was great. Once we came together in visualizing the "look" we wanted, the plans began to become reality. Shannon and the SSD team developed and oversaw the implementation of a plan which called for removing a weight bearing wall to open up the space, beautifully designed cabinetry, poured in place concrete bar counters and delightful touches like the unique lighting fixtures--I enjoy the space every time I walk into it, and today, almost 5 years after opening, visitors continue compliment the design. Having now completed a second wine tasting room project, we would like to thank the entire Shannon Scott Design team for their contribution in creating warm, inviting and unpretentious environments to showcase our wines. From the initial design work to the final decorative touches the team demonstrated an understanding of us as clients, and created a vision for both space that would capture the personality of our business. Through both projects the team demonstrated professionalism working with other subcontractors, and was respectful of both budgetary and timeline constraints. It was an absolute pleasure to work with Shannon Scott Design, and we would recommend your team without reservation to anyone considering their own special interior space. Shannon Scott and her team at SSD have done several projects for us and we have always enjoyed working with her. She is always upbeat and accommodating and provides a range of services from sourcing construction finish materials to interior design and decorating. One of the projects in particular shows the broad capabilities of SSD. We had a special need for a project we were doing at our Montecito home so we called on SSD. We were doing an addition including private rooms in the main house and a large entertainment room in a building separate from the main house. We chose Shannon and SSD because of their experience in hospitality projects. They did an excellent job providing a flexible interior design where the room could be reconfigured for varying sized gatherings and parties. And the decorating blended in perfectly with our Italian Villa as did the decorating of the private rooms that were included in the project. Shannon and her staff’s can-do attitude is refreshing and makes working with them an enjoyable experience. The fact that we have used the Shannon Scott Design team for multiple projects over the years, says a lot. Shannon has a talent of transforming any space into a beautiful, comfortable and inviting environment. Not only do we think so - our customers agree too! Ken and I wanted to tell you how much we appreciate your guidance in helping us achieve the look and feel of our home. You helped us capture the essence of this area, creating a beautiful, contemporary farmhouse that lives harmoniously with the central coast landscape. Throughout the process, your focus, attention to detail, and professionalism let us know we were in talented and capable hands. We are thrilled with our new home. I have recently had the pleasure of working with Shannon on a few residential projects. For an interior designer to work well with me, they must not only have great design sense and good communications skills, but the drawings and specifications need to back this up. Shannon's office accomplishes all of this. She produces well organized and detailed drawings that you can rely on, and is incredibly responsive. Her team approach is very much what I look for. I hope to work with her on future projects, and will definitely continue to recommend her to my clients. I am happy to hear that she now opened an office in downtown Santa Barbara.